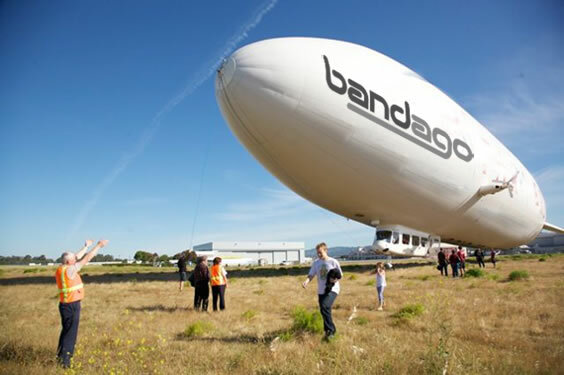 We have received a number of questions from our wonderful clients about our groundbreaking blimp rental service, so we have created this FAQ to help answer your questions. Please note, these are actual questions emailed to us. If after reading this, you have further questions, please email us at [email protected]. Can you give me a ball park on what the costs are to rent a blimp? Cost will depend on what size blimp you are renting and how long you are renting it. We will have everything from one person blimps (for solo artists) to 12 person blimps. We anticipate prices will range from $150 to $1200 per day depending on size and amenities. Does mileage count in the cost? Each blimp comes with 250 miles per day. Additional miles are .35/mile. Please provide information on any fees, taxes, etc. that we would incur. Standard sales taxes apply. Fortunately blimps are not subject to special car rental taxes that many states impose (we are looking at you Illinois, Tennessee, and New Jersey!). We are in conversations with the FAA about what sort of airflight fees and charges would be imposed on our customers. Can you take it to more than one destination? Several stops on a trip? Provided there is a ground crew available to assist with landing, yes. Any special license to fly one - it sounded like it does not come with a pilot, you fly it yourself? Yes, you fly it yourself. The one person blimps do not require a license, and we can teach you how to fly in about 15 minutes. Larger blimps require a little more preparation, but we will have systems in place to get you through the process. For more information on licensing requirements, please click here. What speed do you get --- e.g. how many miles does it go in 1 hours time once you are flying. Depends on blimp size and wind speed. In good conditions even our smaller blimps will manage 50 mph (roughly 45 knots). Bigger blimps can go faster. How long does it take to take off and get to top speed? Depends on blimp size and wind speed. How long does it take to land and deboard once you are at the destination? What extras are there that we have to pay for? Insurance? Cost per passenger? Filing air flight plans / or anything else like this? There are no extra fees. We take care of everything. How much weight can it take for passengers and their stuff? 300 lbs per passenger capcity. So a 10 person blimp can carry 3,000 lbs. Is it heated / air-conditioned inside? The FAA has informed us that Blimp flights can only safely be flown by amateurs in early April.